It's been a year since Virginia state Sen. Creigh Deeds lost his only son following a devastating attack that not only changed the state senator's physical appearance, but also his mission in life. Deeds was working outside his Bath County home Nov. 19, 2013 when his son, Austin "Gus" Deeds, stabbed him multiple times in the head and upper body before turning a gun on himself. Gus Deeds, 24, was pronounced dead at the scene. News4's Mark Segraves talked to Pete Early, who helped his son survive after he stopped taking his medications. His son is now recovered and thriving. Creigh Deeds was airlifted to a hospital in critical condition. Just three days later, he was released, and tweeted to his supporters, "I am alive so must live. Some wounds won't heal...."
Deeds had tried for more than two and a half years to get help for his son, taking steps to have him involuntarily committed twice in 2011. That year, Gus was diagnosed with bipolar disorder. Deeds continued to try to get Gus the help he needed. But just before the 2013 attack, Deeds learned that his son had been missing appointments with local mental health professionals and was writing disturbing things. For the third time, Deeds had an emergency custody order issued for Gus. Such orders are issued after a person is deemed to be a threat to themselves or others. But when the order expired before a treatment bed could be found, the two went home. The next morning, Gus attacked his father. "I went out to the barn to feed the horses and Gus was coming across the yard," Deeds recalled in an interview with 60 Minutes earlier this year. "I turned my back and, you know -- I turned my back. Had this feed thing in my hands, and he was just on me." Deeds, now 56, was left with scars on his face and body. He also lost part of his tongue in the attack, and some feeling on the right side of his body. Since his son's death, Deeds has led the charge for mental health care reform in Virginia, introducing legislation to provide help for those in crisis -- the help his son was not able to get. "I'm determined to devote my life and my efforts to change the law, to reduce the likelihood that such tragedies would occur in the future, to discuss mental health openly and honestly in an effort to remove the stigma, and to work to ensure that my son is remembered for who he was and what he did, not how he died," Deeds said at the annual conference for the National Alliance on Mental Illness. Deeds, a Democrat, has a long history in Virginia and is a prominent figure in local politics. A Virginia state senator since 2001, he represents Virginia's 25th District. Deeds had served in the House of Delegates for the 10 years prior. He ran unsuccessfully for attorney general of Virginia in 2005 and governor in 2009. Economic development, public safety and transportation were once the core of Deeds' legislative work. In fact, his website, senatordeeds.com, still touts those issues as among his priorities. But it's evident that Deeds has become most vocal about mental health care reform. A portion of his website is dedicated to providing updates on mental health initiatives and lists emergency resources for those who care for loved ones with mental illnesses. When he returned to the Virginia Senate at the beginning of the year, Deeds introduced three bills, including one increasing the maximum time a person can be held under an emergency custody order. A few months later, Virginia Gov. 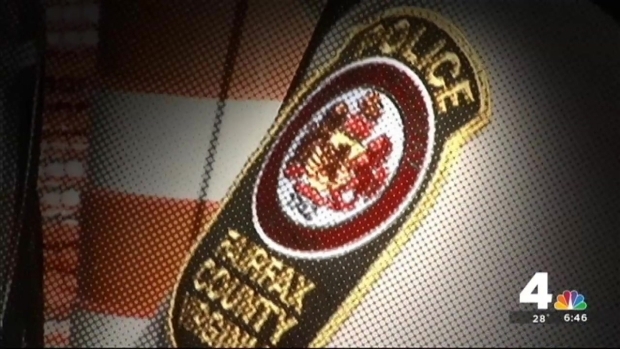 Terry McAuliffe signed that bill into law, extending the duration of emergency custody orders from six to eight hours, and allowing medical professionals more time to find a facility. When no private beds can be found, state hospitals are now required to admit patients being held under emergency custody orders. Former Gov. Bob McDonnell also established a mental health task force in response to the Deeds' family's tragedy. 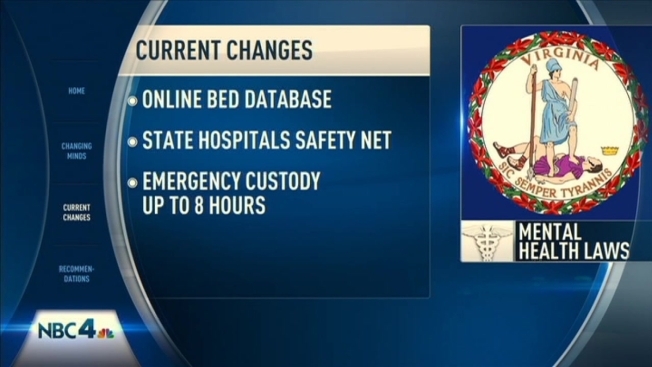 The task force has since recommended 25 more changes to Virginia's mental healthcare system, including further increasing the duration of emergency custody orders from eight to 12 hours, and providing local emergency agencies with alternative forms of transportation for the mentally ill.
Another proposal would outfit local jails with a computerized notification system that would help newly released inmates get the treatment they need quickly. Deeds has also called on Congress to make nationwide changes to the mental healthcare system. "The work that needs to be done is not limited to Virginia, and more important, policy makers need to know these high-profile cases are not the norm. The reality is that tragedies happen every day," Deeds said, while accepting the Hero of the Year award from the National Alliance on Mental Illness Montgomery County earlier this month. Deeds' family has joined his fight for mental health care reform. His daughter Rebecca recently wrote about her family's experience for Glamour magazine. Rebecca Deeds knows first-hand the toll that mental illness can take. She recalls her family's struggles to care for her brother, who was diagnosed with bipolar disorder. And she says the day her brother attacked her father, State Sen. Creigh Deeds, and then killed himself was the worst day she'll ever have. Rebecca shared her story with News4's Doreen Gentzler to help others and start a real conversation about treatment. Part of our Changing Minds series. "We need to look at mental illness as an actual sickness that needs treatment, and that treatment need to be prioritized the way that we prioritize treatment for folks who have heart disease or cancer," Rebecca Deeds told News4. According to the National Institute of Health, more than a quarter of American adults have a diagnosable mental health problem in any given year. Fewer than half receive treatment. Deeds' story and the experiences of many others led NBC4 to begin a year-long project called "Changing Minds," which aims to encourage others to talk about mental illness and mental health -- and to start to change attitudes towards those suffering from a mental illness. Click here to find mental health services and resources in your area.